Recovering from an illness and need help to recuperate? Have a terminal illness and wish to remain at home? Being discharged from a nursing rehab after a fall accident and need respite care? Cannot be safely left alone due to memory related illness or any other ailment? A family caregiver needs a break? Need someone to run errands, take you to doctor’s appointments, and help with grocery shopping? Need someone to provide light housekeeping, laundry and to care for pets and/or plants? Need bathroom assistance, including shower? Need someone to cook and prepare meals for you? Need caring companionship and an exercise routine motivator? If you answer “yes” to any of the above, it is time to seek professional help. Call ADG Referral Services Inc at 925-472-6845 and get the care you deserve at the comfort and safety of your home, giving your loved ones freedom and peace of mind. We specialize in providing home-care service for seniors who can no longer be safely left alone in the comfort of their own home. 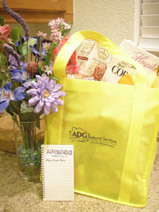 ADG Referral Services Inc. is a “one-stop” resource for all senior home-care and professional service needs. 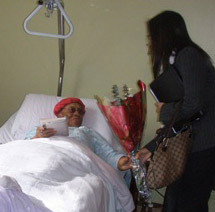 We provide emergency caregiver placement a,s well as, on-call service. We provide a no-cost client assessment to create a customized care plan to offer solutions and options to exceed client expectations within budget limit. We perform a free regular (optional) client visitation including monthly phone assessments for every client in an effort to ensure client service satisfaction. Transportation arrangement for grocery shopping, doctors appointments, and recreational or social functions are always available for your convenience. 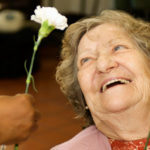 Should placement to a retirement community home become necessary, we offer a complimentary placement assistance to local and trusted Residential Care Homes, Assisted Living, and Independent Living of your choice.